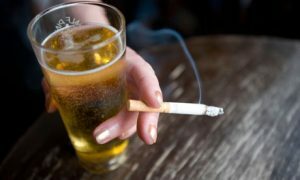 People who use both tobacco and alcohol are at greater risk of developing these cancers than people who use either tobacco or alcohol alone. Infection with cancer-causing types of human papillomavirus (HPV), especially HPV type 16, affects particularly the tonsils or the base of the tongue. 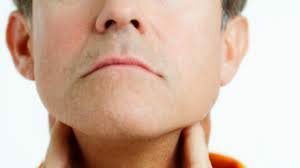 The incidence of oropharyngeal (mouth and part of the throat at the back of the mouth) cancers caused by HPV infection is increasing, while the incidence of these cancers related to other causes is falling. (National Cancer Institute). Occupational exposure to wood dust, asbestos and synthetic fabrics have been associated with cancers of the larynx or voice box, and nasopharyngeal region (part of the throat at the back of the nose). Industrial exposure to wood or nickel dust or formaldehyde is also a risk factor for cancers of the paranasal sinuses and nasal cavity.